Do you find yourself in the Fire Swamp of last minute crafting? Maybe due to procrastination or an innate ability to have a perpetual positive outlook on your ability to bend the space time continuum? Fret not, here is one of six patterns that can help you out of that sticky situation of needing a last minute hand made gift. 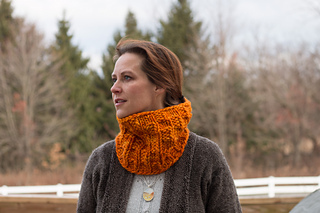 Something cozy and warm, stylish and modern, infinitely wearable and lightning fast to knit up! Pumpkin Waffle is as yummy to knit as it is to eat! 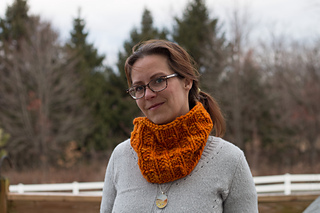 Squishy, soft and easy, the cowl is knit in an easy to memorize combination of knit and purl stitches, resulting in a lofty broken up checkered appearance, like the dimples on a waffle. Bring on that maple syrup! 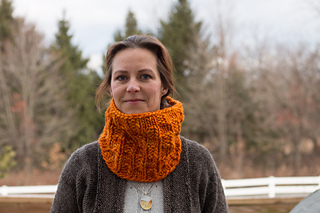 And the best part is, the cowl takes less than an afternoon to make! 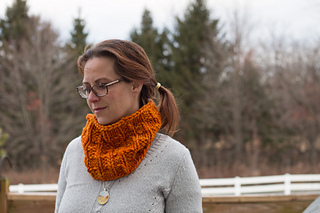 All you need is one skein of Malabrigo Rasta or an equivalent yarn, a few hours of your time and you’ll have another handmade gift! 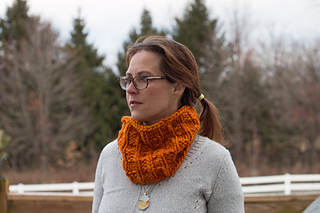 Join me on my knitting adventures: Come jump over to my friendly Ravelry group to meet others knitting my designs and find out about upcoming new stuff or KALs!